Recognising the potential of every individual to achieve excellence, positively addressing underachievement. Providing access to outstanding teaching, a range of excellent resources and an exciting, broad, balanced, enriched curriculum. Providing a welcoming, calm, happy, purposeful, and nurturing community. Developing self-motivation, independence, positive attitudes and confidence. Providing a learning environment that is attractive, stimulating, informative and that instils a sense of pride. 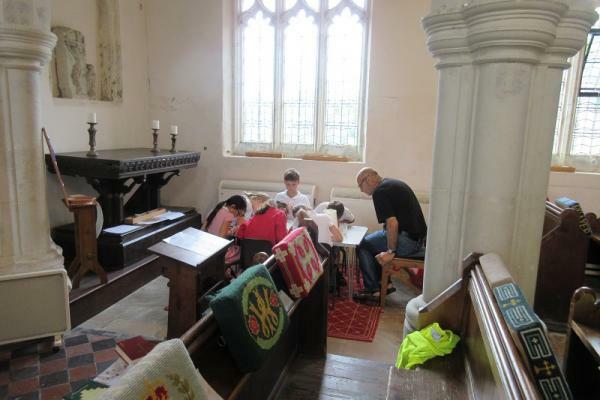 Providing a high-quality education within a Christian context for pupils living within the parish boundaries of Arrington, Croydon, Orwell, Tadlow, Wimpole and Whaddon, and also for pupils from a wider area on religious grounds. Promoting the values of: Respect, Friendship, Courage, Inspiration, Equality, Excellence and Determination. To ensure that every member of our community experiences a safe, happy environment based on the teachings of Jesus, which are love and forgiveness. To foster confidence, responsibility and self esteem in each individual so that they can make good independent choices and contribute fully to the school and community. To address all learning needs to develop each individual's full potential. To engender a lifelong enjoyment of learning through the delivery of a broad and lively curriculum. To prepare pupils to be good citizens in a diverse and rapidly changing multicultural world. Our pupils considered the aims and the elected School Council decided to explain them in their own words.